Welcome back to PC World's weekly celebration of slack. For this installment, I stand in line and wait patiently for the next summer blockbuster ... and later,&#160;I get infected with love for EA's Spore. "Excuse me ... what is everyone waiting in line for?" "Metal Gear Solid 4," I tell the attractive blonde walking by.&#160;Responding&#160;to her vacant stare, I fill in the blanks. "A video game." "Ohhh," she&#160;says icily, "gamers." And with a smirk, she walks off into the night. She isn't the last person to ask--boozy businessmen, homeless people, each one reacting like the couple hundred people in line are nuts for being here at 10:30 at night. Are we, though? (Okay, maybe the guys who dressed up like Metal Gear Solid 3 characters might qualify. )&#160;But people line up to watch a hot new movie about to release. They camp out to nab the best seats at a concert. Every Sunday, folks have a tailgate party outside the stadium. Gaming just happens to be a relatively new--often misunderstood--pastime, and I'm standing here in line amongst the believers. 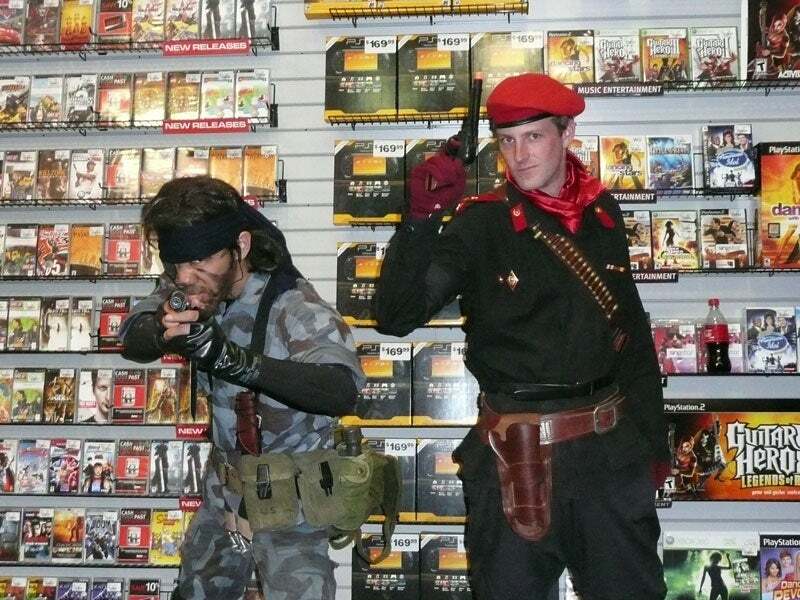 A couple of cosplayers infiltrate the midnight sale to snag a copy of MGS 4. Lorenzo Ochoa has never waited in line for a video game before. He barely even sweats catching a movie on opening night. But here he is, having been standing in line since about 6 p.m. to get his hands on Metal Gear Solid 4: Guns of the Patriots. "I was here earlier, and when I'd heard the game would be available at midnight, I decided to wait." For him, it's worth it. "I really like the way he [Hideo Kojima, the game's creator] blends in a deep story and well-conceived characters ... and the way the games look are amazing," says Ochoa. "A lot of people criticize the games because there are lots of cutscenes and sometimes not enough gameplay--but I think that's a good thing," says Ali Aiti, another fan in the queue. "It's like an interactive movie. In fact, it bridges my passion for movies and games." Midnight strikes, and the line starts moving. As I&#160;approach the register, I find myself wondering if people will line up like this to see The Incredible Hulk. The clerk who overhears me answers, "Yeah, that Hulk game came out the other day. Nobody really came in and asked for it yet." "Actually, I was talking about the movie." "Oh, that's coming out this week. I forgot." I could sit&#160;around and ponder how the release of MGS 4 might affect ticket sales for the newest superhero movie. I mean, studios&#160;worried that Grand Theft Auto 4's release might bite into the&#160;Iron Man opening weekend. MGS4 ships only for the PlayStation 3, so I don't know if it will make as big a dent or be a massive system seller, but that's a whole other conversation (Dyson at Destructoid.com has a great entry that I agree with, so no need to rehash that). But never mind--I have&#160;a game to play. Smoking--and bullets--are harmful to your health. 1:23: I press the Start button to kick off the madness. 1:29: A gravelly voiced Solid Snake explains how messed up the world has become. Already I can tell that this title is on a Blu-ray Disc. The details are amazing, and the Dolby Digital quality is stellar. Oh, wait, here comes my first bit of game feedback--my controller is vibrating. 1:30: Hey, I'm controlling my guy for a second! Quick, run from enemy fire! 1:31: Back to more cool action scenes&#160;to watch. I kick back and put up my feet. 1:34: I'm in control--time to run for cover (again), but from robots this time. 1:36: Another break from the action, and I yawn. Around this time I actually grab for my remote to try to pause the video. That's right, I forgot it was a game for a second. It looks that good. And I control that little. And ... that's when I nod off. Not a knock against the game--it was a long day, and I forgot to pound a Red Bull. 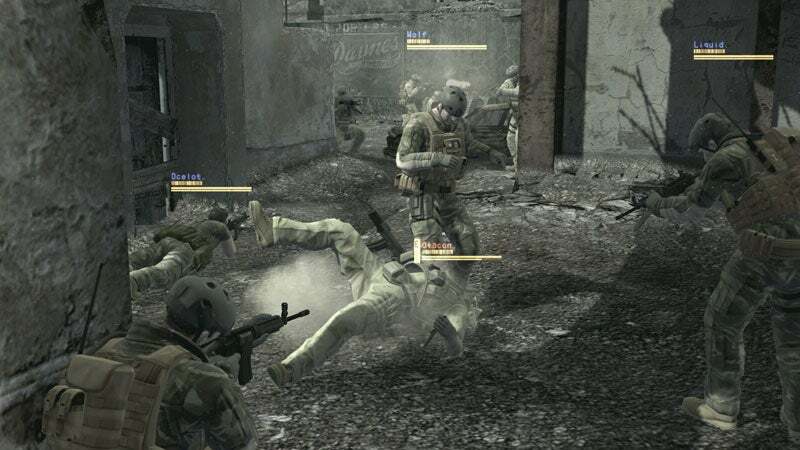 If the single player game doesn't tide you over, you can join in plenty of multiplayer firefights online. Seriously, though, you don't want me to spoil the experience, do you? Here's my two cents: Metal Gear Solid 4 is&#160;almost the exact opposite of Grand Theft Auto IV and other open-world games. It gives you a definite course to follow, and it has a big story to tell. The world looks amazing, and, yes, you'll want to keep a bucket of popcorn and a bottle of Coke handy so you can relax and savor all of the cutscenes. Just think of it as the best movie you ever played. 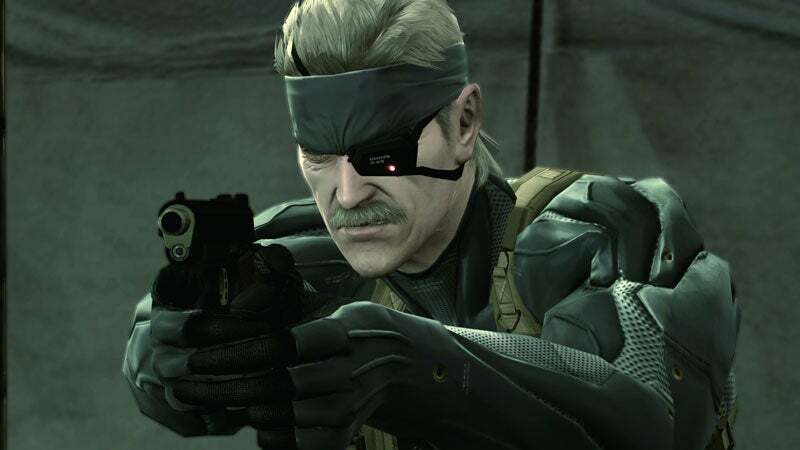 Don't forget that our very own Matt Peckham is working on his review of MGS 4,&#160;as well as&#160;a great collection of insights from playing all of the previous titles. 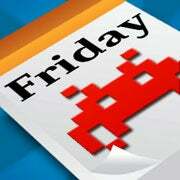 Be sure to check out his Game On entries from this week. Wait, there's more on Metal Gear, and&#160;stuff about&#160;Spore, on the next page!